Choral Music Series from GIA Publications, Inc.
Church Music Resources below, please click on its picture or text. Prepared under the auspices of the National Black Catholic Clergy Caucus, this is the hymnal used in virtually every African American Catholic parish in the country. Songs of Faith from "Lead Me, Guide Me".Selected songs and hymns as performed by the incomparable St. Augustine Choir from Washington D.C., under the direction of Leon Roberts. Tryin' to Get Ready A collection of spirituals rooted in African musical traditions. Tryin? to Get Ready offers accessible yet authentic arrangements of some of the most beloved spirituals expressing faith, love, humility, and salvation. This book brings together, into one major volume, forty chapters, essays, articles, and previously unpublished papers written during the twentieth century on music and worship in the African American church. Based on seven major African American worship hymnals, suggestions of appropriate hymns, as well as anthems, spirituals, gospel songs, and organ music are given for each service. Sure to complement the traditions of all types of congregations, "Going to Wait!" 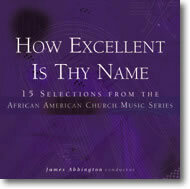 is an excellent reference for all who lead African American Christian worship today! Directly from his heart, V. Michael McKay shares not only the stories that have inspired his songs, but also the soulful feelings that have molded his close relationship with God, as he struggles "To Tell the Truth". Originally published in three volumes, they have been edited and combined by James Abbington into one clothbound edition. Also available now are a CD recording of all of the music discussed in the book and a music edition. A musical and spiritual celebration of unity, reconciliation, and discipleship, this collaboration by Haas and Roberts breaks down the rigid categories that divide liturgical music and our congregations. Favorite spirituals and gospel songs come to life on this seventh volume in the GIA Catholic Classics Series. This full mass setting is accessible to varied resources, from cantor and assembly, to the incredible power of an orchestra and gospel choir. Kenneth Louis utilizes call-and-response throughout the mass, making it easy for the assembly to join in. 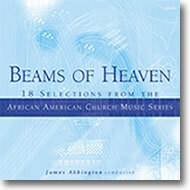 This is a collection of thirteen arrangements of nineteenth-century African American spirituals. This music rings loud and clear with Alice Parker's well-known love of the sound of a cappella spirituals. It's been some time since we've heard from the composer of the beloved "Taste and See", but "Come to the Feast" is certainly worth the wait. Along with favorites never before available on CD, this lively new collection also includes material James Moore has written in recent years. James E. Moore, Jr. These collections, quite simply, are unlike anything else in the GIA catalog: songs range from Argentina to South Africa to Russia to Korea. All have withstood the test of time in their own communities, and all include performance notes, English translations, and guitar chords where appropriate.